I went back to school shopping for my kids the other day and found this super sweet tool caddy at Target. You often find things you really don't need (but want) when you are shopping for something else. 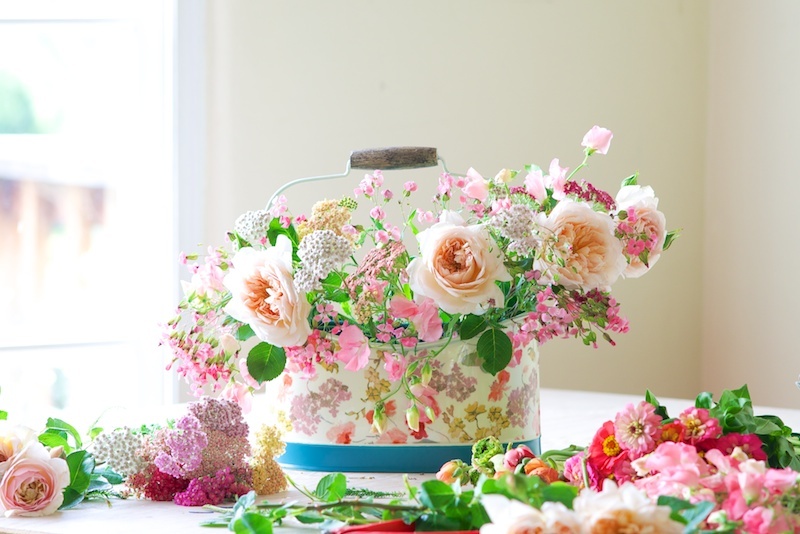 Anyway, I love the soft color palette of the florals on this bucket - they remind me of an english garden. So before I put my garden tools in it, I thought that it would be appropriate (necessary) to put some flowers in it. I love how it turned out - as the flowers I chose resemble the caddy pattern and I got to enjoy it in my home over the weekend. I sure am glad it is Monday! I had a very busy wedding weekend, so although Mondays aren't usually my favorite, today I am looking forward to a little rest (as much as three kids will allow) before the next event. I saw these lovely cases online at Anthropologie and thought "how fun would they be?" as unique vessels. They are bright and cute and look wonderfully festive with flowers in them. These could be used for almost any occasion, from a dinner party to a baby or bridal shower, or even as props for an eclectic photo booth. 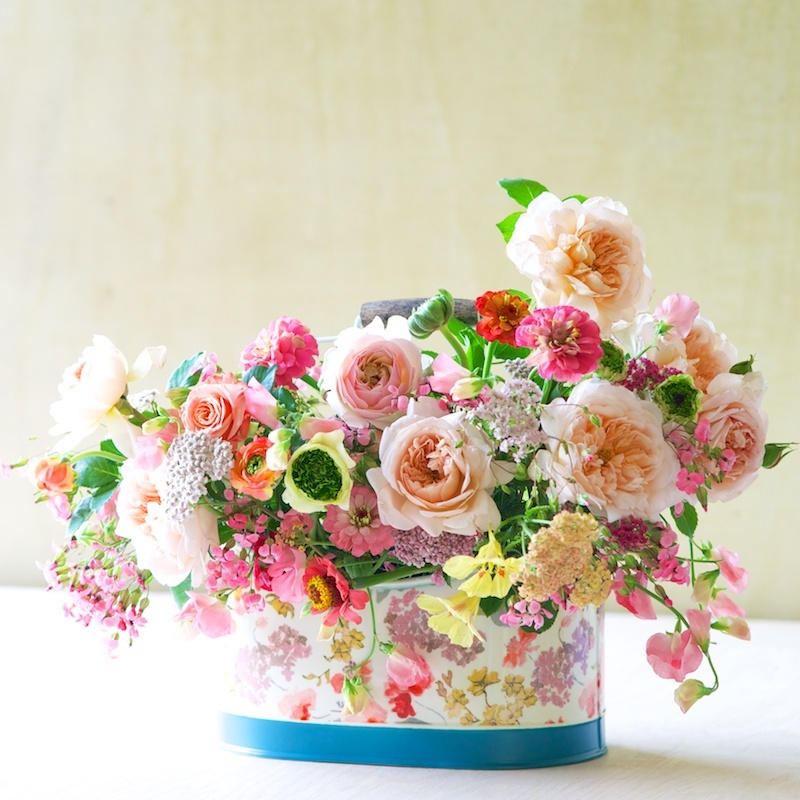 Most of all, they are super easy to put together - just pick your favorite flowers and go. To be able to add water, I lined each case with a plastic insert first, then arranged my flowers in them. Chestnuts look like this before they become what we are used to seeing. I warn you though, do not be fooled by their fluffy look - they are prickly and if you get poked they sure hurt - so wear gloves while handling them!!! Saponarias (soapwort) are fun voluminous little flowers that have a lovely wildflower look. And finally, cafe au lait dahlias are one of my favorites, so I don't miss an opportunity to use them when in season!